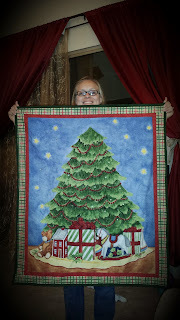 This week I had a conversation with a mommy friend who was concerned about all the things we see and do at Christmas that don't really seem to be connected to Christ. The secular world has commercialize Christmas so much that it can be hard to see the connections between Christmas trees and the birth of Christ. Every parent has their own journey with the trappings of Christmas. 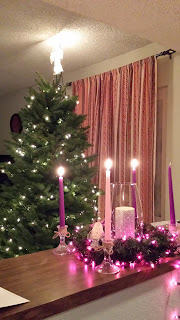 In our family we observe the liturgical season a Advent. On Sundays we light the Advent Wreath and say a devotional and each day we have a scripture reading with our Advent calendar. Here is a little information on what we do in our house at Christmas to keep Jesus the focus and center of the season. 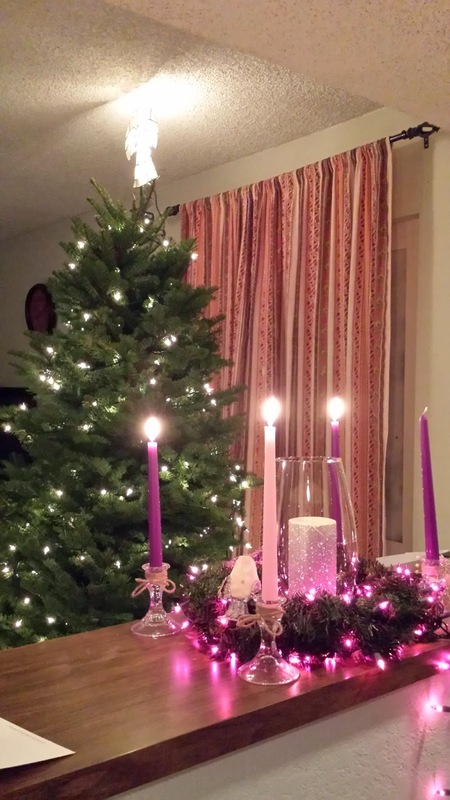 Christmas is in the liturgical season of Advent. Advent is the time of preparation for the birth of Christ. It begins four Sundays before Christmas and ends on Christmas Eve. In our house we celebrate Advent in a couple different ways: an Advent Calendar and an Advent Wreath. On Sundays as a family we light the Advent candles in the Advent wreath and we usually complete a scripture reading and devotional. 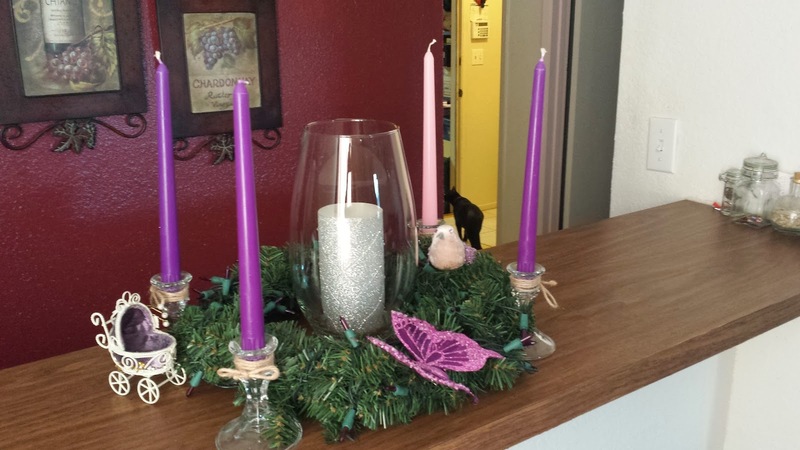 Here is a nice video that explains the Advent wreath in more detail. As Pastor Chuck explained in the video above each one of the candles represent something different. If you are new to observing Advent you might simply start with having a discussion each Sunday with the family about the meaning of that Sunday. For the first Sunday you might ask the family "How does celebrating the birth of Christ bring us hope?" and so on. 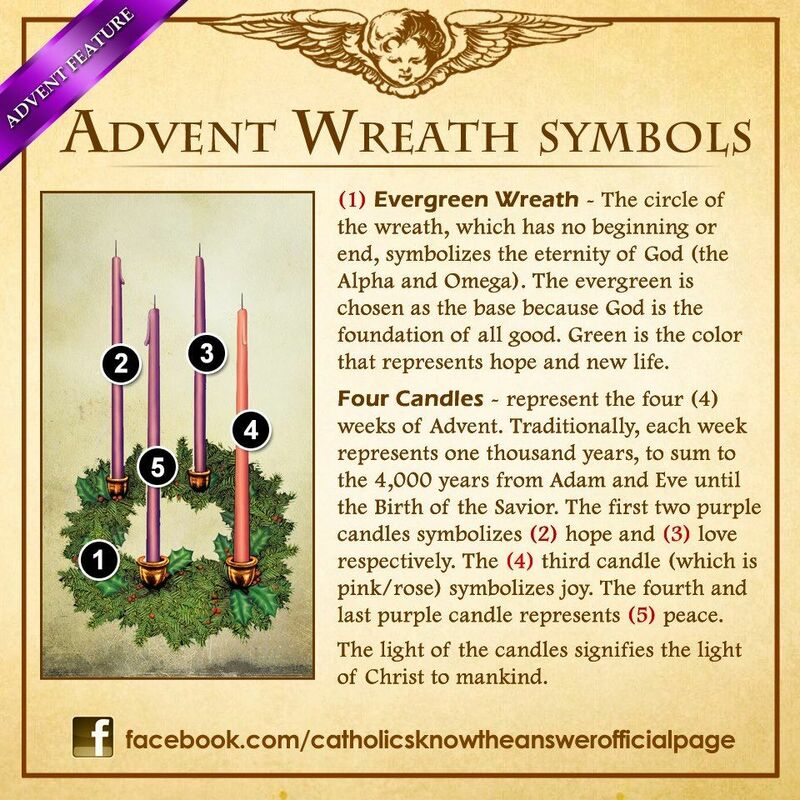 Here is a little graphic that quickly explains the wreath and the four Sundays in Advent. Here are links to sites that provide devotionals for families for each Sunday in Advent if you would like to start your own Advent wreath tradition. Advent Devotional Guide by Rev. Dr. Mark D. Roberts- A step by step guide! Advent Wreath Directions and Devotions by Lancaster United Methodist Church- this is dated 2010 but it doesn't take much to change the dates for this year. Celebrate Advent by Focus on the Family- there are other great resources for Christmas here as well. An Advent Calendar is actually pretty well known but has in some cases strayed from the religious significance it once had. You can buy Advent calendars in most stores. They start on December 1 and count down until Christmas day. Each day kids get a little chocolate candy. In our house we try to maintain the spirit of the season by doing things a little differently. We have 25 little stockings that I fill each night after my son goes to bed. Each day we discover what is in the stocking: He finds a scripture that I have printed out on a card, a little treat or surprise, and he gets an ornament to put on his Advent calendar Christmas tree. I promise to post pictures after Thanksgiving to show you what I mean. This gives us a daily devotion as well as a chance to count down to Christmas. Treats are little toys and sometimes a sweet treat. Our personal Advent calendar that my son adds an ornament to each day. In my research for this blog I come across this resource offered by Microsoft Office as a free download. I personally found that it was a lot of work to personalize. Maybe on year I will have to time to make it personal and include scriptures. For the moment I am going to leave it on here for anyone who wants to use it. How to Create a Personalized Advent Calendar. 20 Great Bible Verses for Christmas Cards at What Christians Want to Know- these are enough if you use a separate devotion on Sundays when you light our Advent wreath.